Results from a Reader's Digest poll show that more Americans trust "Judge" Judy Sheindlin more than any justice on the United States Supreme Court. Granted, the poll also shows that the top five most trusted people in the United States are Tom Hanks, Sandra Bullock, Denzel Washington, Meryl Streep, and Maya Angelou. I suppose this makes sense; after all, Tom Hanks always seems to portray such nice guys in his movies! I suppose we can regard these results as yet another monument to our country's sad state of civic awareness. It's especially disappointing that Judge Judy—whom we should regard more as an entertainer than a fair arbitrator—appears to be the most trusted "judge" in America. Tell Watson to Buy Her Own Bacon! Don't think President Obama is using federal spending to buy votes? Well, the recipients of his generosity with our money sure do. "Our people in an overwhelming way supported supported the re-election of this president, and there ought to be a quid pro quo." Keep in mind that we have already bailed out Detroit's auto industry (for now), yet the city has still struggled under decades Democratic leadership that has resulted in astonishing corruption and ineptitude. And yet, Watson wants the rest of us to pay the price. Well, I think we should tell her no. You can find Watson's public profile here, and her public e-mail address is WatsonJ@detroitmi.gov. Let's send her an e-mail telling her to buy own damn bacon. Ryan T. Darby practices law in San Diego, and he buys his own bacon. "I am open to new ideas if the Republican counterparts or some Democrats have a great idea for us to raise revenue, maintain progressivity, make sure the middle class isn't getting hit, reduces our deficit, encourages growth. I'm not going to slam the door in their face; I want to hear ideas from everybody." However, his prior statements suggest President Obama refuses to acknowledge the historic fact that increasing capital gains taxes decreases revenue, while decreasing it actually increases revenue. "[I]n each instance, when the [capital gains] rate dropped, revenues from the tax increased; the government took in more money. And in the 1980s, when the tax was increased to 28 percent, revenues went down. So, why raise it at all, especially given the fact that 100 million people in this country own stock and would be affected?" Well, Charlie, what I have said is that I will look at raising the capital gains tax for purposes of fairness. And you can't do that for free. In other words, candidate Obama did not mind raising the capital gains tax for the simple reason that he found it fair—not economically intelligent (or even literate) but fair. Well, some people want to improve the economy; others prefer to dictate their vision of "fairness" upon others, regardless of the consequences. Hopefully the President has matured beyond this juvenile stance over the past four years, but I doubt it. An upcoming book indicates that President Obama wanted to provide Osama bin Laden with a criminal trial if captured alive. If true, this is further evidence that Obama views terrorism as a criminal matter, rather than an act of war. According to the AP: "author Mark Bowden quotes Obama as saying he thought he could make a strong political argument for giving bin Laden the full rights of a criminal defendant, to show U.S. justice applies even to him." Well, Mr. President, military justice is U.S. justice for war criminals. Our criminal justice system exists to protect individuals who avail themselves of its protections, such as through birth or proximity. Masterminding an act of war against the United States from an Afghan cave hardly availed bin Laden of these protections. Furthermore, it would be just plain silly to apply criminal law to bin Laden. Should we have expected Seal Team 6 to read bin Laden his rights? Would any subsequent confession be deemed inadmissible for failure to do so? Would we "out" our intelligence assets (or, should I say, more of them) so bin Laden could confront his accusers? And what about evidence that was obtained without a warrant? This would all be very troubling from a legal perspective. I have no doubt that a criminal trial against bin Laden would have yielded a guilty verdict—the outcome just isn't in dispute. And that would make it a show trial. We maintain our criminal justice system because defending the rights of the accused is a high priority in this country, and a show trial would make a mockery out of those rights. And, more dangerously, the desire to host such a trial indicates the dangerous criminal-vs-military approach to terrorism that emboldened al Queda in the lead-up to the September 11th attacks. Ryan T. Darby practices civil law in San Diego. Ongoing allegations that Chief Justice John Roberts based his deciding vote in NFIB v. Sebelius on his vision for the Supreme Court’s political reputation—rather than the Constitution—harkens some historical comparisons. Some commentators approvingly compare the Chief’s savviness of John Marshall; unfortunately, it would appear that Chief Justice Charles Hughes is a more apt comparison. First, the Marshall comparison. In the landmark 1803 case of Marbury v. Madison, Chief Justice Marshall faced two unsavory alternatives: rule against the hostile President Jefferson and watch the president humiliate the Court by ignoring its ruling, or reluctantly give Jefferson the ruling he wanted. Marshall shocked everyone by ruling in Jefferson's favor, while (of far greater historical significance) announcing that the Court had assumed a brand new power: judicial review, marked by the ability to strike down laws the Court deems unconstitutional. This is now regarded as the judiciary's strongest constitutional power, and Jefferson did not protest it because the Court gave him what he wanted. Daniel Epps argues in The Atlantic that Roberts demonstrated similar initiative: rather than play into the administration’s ongoing criticisms of the Court’s supposed Republican bias and risk damaging its reputation and influence, Roberts “juked” by giving Obama the ruling he wanted. However, Roberts rejected the administration’s primary contention that the Affordable Care Act comports with the Commerce Clause, and hung his hat instead on the Taxation Clause—thereby arming Republican critics with election year ammunition that Obamacare amounts to a tax increase. It is a compelling theory…but it ultimately misses the point that Roberts’ switch resulted in a monumental expansion of federal regulatory power. The Court’s opinion that the individual mandate violated the Commerce Clause certainly restores some measure of sanity to that body of law, but the expansion of the Taxation Clause renders the Commerce Clause largely moot. After all, if Congress can simply bypass the Commerce Clause by regulating activity through the guise of taxation, then who needs the Commerce Clause? The Taxation Clause apparently (under this ruling, at least) offers Congress all the legal justification it needs. Furthermore, it appears that Roberts ruled in large part to pacify an administration that appears intent on bullying the Supreme Court into obedience. After all, President Obama has bullied the Court during press conferences and (infamously) during his State of the Union address. And it seems to have worked. However, a closer look at the historical record shows that Congress did not support the court-packing bill and would not have passed it. Moreover, the “switch” caused harm to our Constitution that has still not been repaired to this very day. Therefore, for all intents and purposes, the “switch in time” was an unnecessary measure that caused immeasurable constitutional damage. Similarly, the Roberts Court faces no clear and present danger of becoming irrelevant. The threat of criticism? Obviously. But newsmakers only criticize relevant institutions, and facing criticism is the price of making difficult decisions about controversial laws. How ironic is it, then, that the Court now faces an avalanche of criticism? Roberts’ apparent worry of being criticized for playing politics has come true—it just comes from the right, rather than the left. The Chief apparently did play politics, and the American public is calling him on it. Too bad that our Constitution also fell casualty to this game. 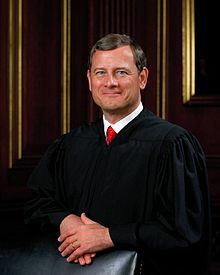 Thus, the effects of Roberts' switch in time: (1) growing allegations of the Court's politicization; (2) evidence that the President can bully the Court into obedience; (3) implementation of a wildly unpopular law; and (4) a massive expansion of the Taxation Clause that may haunt American jurisprudence for decades to come. Along with an illegal fine. Ryan T. Darby practices civil and public interest law in San Diego. Yeah, you'd better hear me now! Verizon Wireless recently agitated hordes of customers by announcing plans to impose a $2.00 fee for single online or telephone payments. Well, the thousands of customer complaints Verizon likely received has compelled the company to disconnect this fee plan. This is an example of free-market capitalism at its finest. A company made a decision its customers didn't like; its customers expressed their outrage; and the company backed off. After all, Verizon bases its business on a series of voluntary transactions with its customers, and since those customers can switch providers with relative ease, Verizon needed to listen to them. No government strong man was necessary to coerce Verizon's actions; it acted in its own interest, which happens to be satisfying its customers. The article reporting on this story also reminds us that Bank of America customers pressured it into dropping plans to impose a $5.00 monthly debit card fee. Ryan T. Darby practices law in San Diego. He happens to be an AT&T customer, but he's happy for all his Verizon friends, including his mom. Tax law professors Ian Ayres and Aaron Edlin recently wrote a New York Times op-ed outlining the most disturbing proposal that I've read in a long time: they advocate a 100 percent tax rate on all income that exceeds 36 times the median household income. In 2006, the median American household income was $50,233. This proposal would therefore cap income for that year at $1,808,388–certainly no small chunk of change. However, the Ayres-Edlin proposal is an absolutely terrible idea that would cost us economic growth, tax revenue, and economic liberty. First, history teaches us that excessive taxation actually lowers tax revenue. A cursory glance at income tax statistics shows that federal tax revenue was higher in the 1980s than the 1970s. This is interesting because (1) the 1970s was a highly inflationary era, and (2) the Reagan tax cuts slashed the top marginal rate from 70 percent to as low as 28 percent. Of course, this shouldn't be surprising. Punitive taxation disincentivizes economic productivity; indeed, common sense dictates that people will not work for nothing, as the Ayres-Edlin proposal requires after an individual (or business) earns more than their income limit. Additionally, punitive tax rates incentivize various forms of evasion (some legal, some not). Even if you're a statist, shouldn't you want the rich to earn a whole lot of money that the government can tax? Incentivizing productivity yields higher economic growth and larger tax returns, so everyone wins by allowing "the one percent" to do their damn jobs. The other problem with the proposal is the arrogance that Ayres and Edlin–or anyone else–has either the clairvoyance or the moral imperative to dictate how much money is too much for one person to earn. Wealth accrues in a market economy through a multitude of individual, voluntary transactions. To chide someone for being too successful strikes me as jealousy wrapped in an egalitarian facade. I can't conclude without pointing out the absurdity of their statement that "The sky is the limit for the rich as long as the 'rising tide lifts all boats.'" Ayres and Edlin, of course, are borrowing President Kennedy's justification for slashing the top marginal rates. President Kennedy knew that everyone would benefit by allowing the rich to keep–and invest–more of their income. Perhaps, then, a more appropriate metaphor for Ayres and Edlin is that a sinking ship drowns everyone on board.